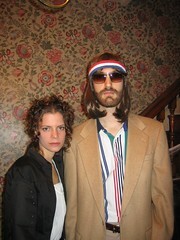 In case you missed it, this Halloween I went as Richie Tenenbaum from the movie The Royal Tenenbaums. We are seriously serious in this picture. How'd you put the beard back on so soon!